Canadian author Marc Watson is an author of genre fiction of all lengths and styles. He began writing at the age of 15 and continues to be a part-time writing student at Athabasca University. He has been published on flash fiction sites as well as comedy sites. He is an avid outdoorsman, martial artist, and baseball player. He lives in Calgary, Alberta. 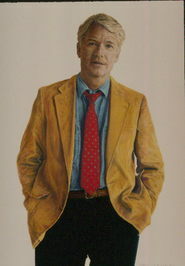 His published novels to date are DEATH DRESSES POORLY, CATCHING HELL Part One, and CATCHING HELL Part Two: DESTINATION. 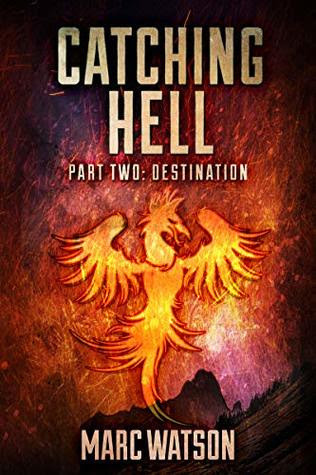 To appreciate the second part of his duology it helps to recap part one - Part One - Catching Hell is a sci-fi fantasy epic about two friends separated on their quest to avenge their destroyed home. Aryu, who has wings, and Johan have their home destroyed by a mechanical army thought extinct. Now separated, Aryu learns that he must also deal with Nixon Ash, a phoenix-man sworn to kill owners of the Shi Kaze, a weapon Aryu recently found. Meanwhile Johan and his tactical mind adventure to a distant, advanced city to find a way to defeat their enemy and reunite with his best friend. One goes into the world of the fantastic and mystical, while the other goes to the technological. Each are worlds they were raised to fear, but now must face to defeat their common enemy. Writing of this nature is not often encountered in young authors and from this book it seems as though the future in writing is solid for this young man!